Jabra Elite headphones deliver best in class sound solutions—superior sound for calls, music, and concentration. 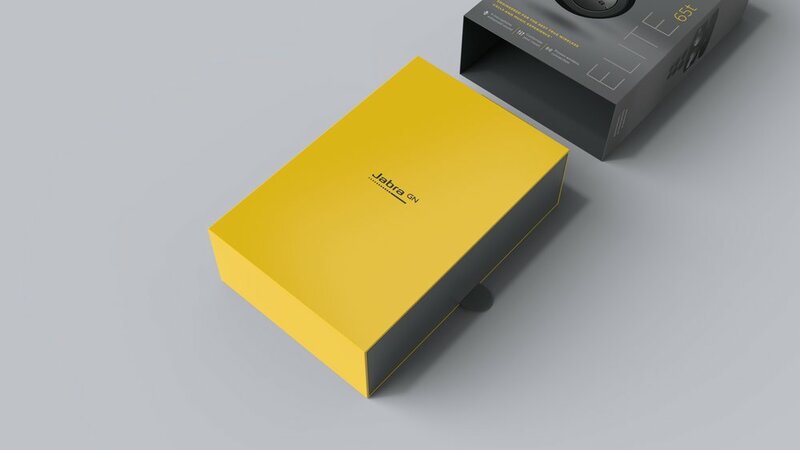 We collaborated with packaging partner, Uneka to create a cohesive OBX and Visual Design Language for Jabra. Enlisted and packaging expert, Uneka, collaborated to unify Jabra’s brand look and feel across the new Elite headphone packaging. Enlisted, charged with packaging design and Uneka, challenged with the structure, engaged in a collaborative immersive workshop with Jabra to align on a vision for the new product packaging. The packaging needed to look unique and stand out on shelf. Grounded in the idea to leverage existing brand elements with a fresh take, the structure and design were developed to support a better user experience while highlighting the product.